Performance subwoofer to produce low bass sound and also solid course supported by a subwoofer enclosure or box. 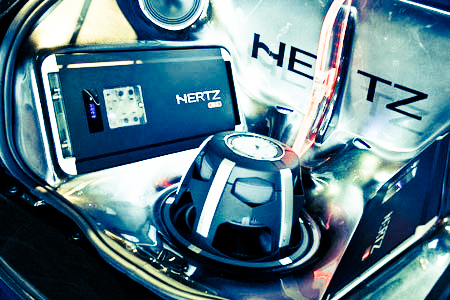 Subwoofer box in the car usually has a different size, it is adjusted to the recommendations of the technical data from these subwoofers. However, each audio installer, have different styles in a box design. If all this time, we only know when the box was just the type that's all, it did not. Box consists of various types and models. Design, size (dimensions) and a subwoofer box models are usually clearly taken into account at the time of manufacture, even carefully designed too often acted the Installer. Clearly, each type of box has a value of strengths and weaknesses, all models of boxes, if applied correctly, clearly gives a very maximum performance subwoofer.